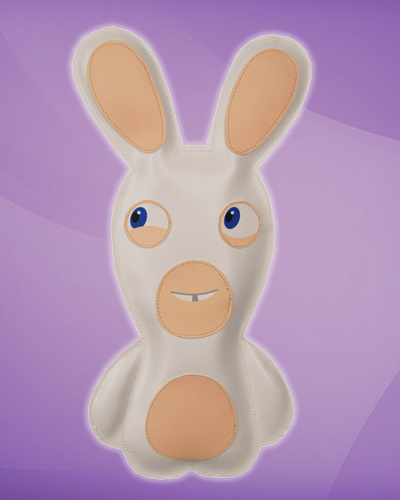 Fans of the demented video game series Rayman Raving Rabbids will love this adorably cute vinyl plush figure with a hanging loop on back! 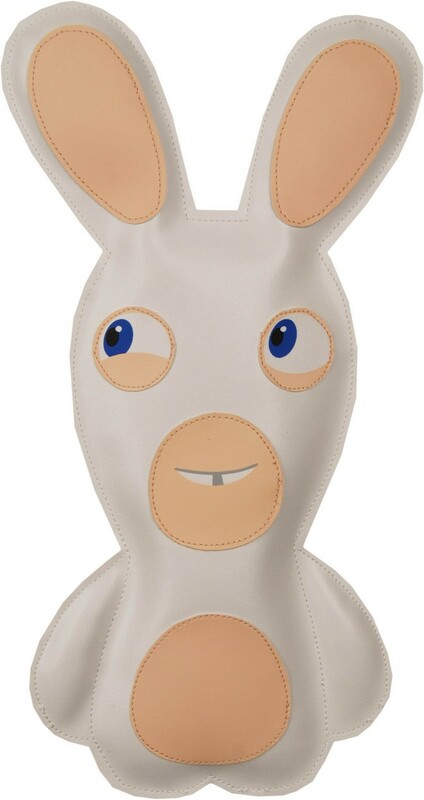 Great for decorating walls, lockers or any place you can keep an eye on this little guy… because he’s definitely up to something. Approximately 12″ tall by 6″ wide and just over 1.5″ thick. Smooth exterior wipes clean.